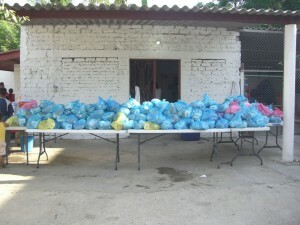 In 2009, John Ozzello, the President of Amigos de Bucerias at the time, saw there was a need for a food bank in Bucerias. He managed to set up distribution and collection centers for this need. Currently, places to drop off food are: YoYo Mo’s Pizza & Sport bar, La Fuente Church and JD Tours. Our distribution centres are La Fuente Church and the Tercera Edad seniors facility. If you wish to make a cash donation, you can email: rsnystrom@hotmail.com to arrange a pick up OR drop off funds at YoYo Mo’s Pizza & Sport bar. As of February 2015, the JOMFB is feeding approximately 295 families per month, this includes dropoffs at the women’s shelter and personal trips to poor areas in the community. And then an additional 150 dispensas in December. Our “despensas” (bags of food that includes the basics such as beans, rice, cooking oil, sugar etc) are a one week’s supply of food for a family. We do a “shopping run” to Sam’s Club in Nuevo Vallarta once per month to pick up the necessary food which is in commercial sizes. It is taken to La Fuente church and/or the Tercera Edad where volunteers package it into individual despensas to be handed out. 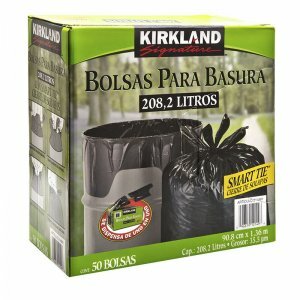 What is the Kilo for Kilo Program? This program was started by La Fuente church in 2010. Whoever needs food can go to the church and receive a one weeks supply. YOU DO NOT NEED TO BE A MEMBER OF THE CHURCH TO GET HELP. Anyone who is physically able, will be asked to “work” for the food they are given. The work includes cleaning different areas of our town, cutting down weeds throughout our town, and anything that looks like it needs to be done. We do many small fundraisers throughout the high season in order to continue to feed the needy in our area the entire year. YoYo Mo’s Pizza and Sports Bar are the #1 supporters of this cause. They allow us, as well as encourage us, to do as many fund raisers in their establishments as we can. You will see raffle tickets or 50/50 tickets for tequila/NFL jerseys being sold during NFL Sundays, Superbowl playoffs, NHL games, Boxing matches, Olympic games, and other major sporting events. Glenn and Tanya, the owner’s of YoYo Mo’s, will often donate prizes for the raffles. In 2012, we had the first annual Whale Watching fund raiser. This has become an annual event and is a huge success. It is an enjoyable day on the ocean watching whales, snorkeling, socializing, eating and drinking. There is also a raffle on board with many wonderful prizes. This is our single largest fund raiser each year. If you are interested in coming on our next trip, which is usually the beginning of February, please email rsnystrom@hotmail.com to order tickets. And, in the meantime, check us out on Facebook for photos and fun.